Revolutionary, modern day evolution of time-proven self defense tools/kubotans. Just attach MUNIO to your keys and protect yourself by striking with the tip on the front, or by swinging your keys at an attacker. Use either option to break free, gain safe space, and get away! Invented by a self defense instructor... and professional designer! Attractive, appealing styling encourages ready carry, empowering you with an instant safety advantage. NO risk of electrical shock or chemical discharge. Convenient and discreet. Effective and easy for anyone to use. Can even work against surprise attacks from behind! Legal in all states and TSA / air travel compatible. 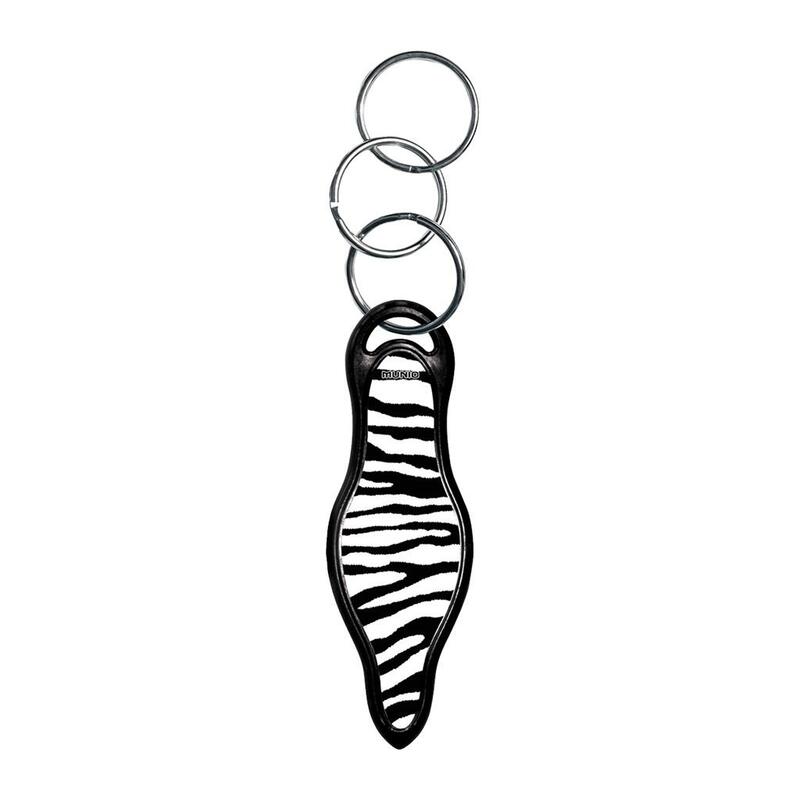 See other products in the 'Keychain'category.